Read the poem on the left. 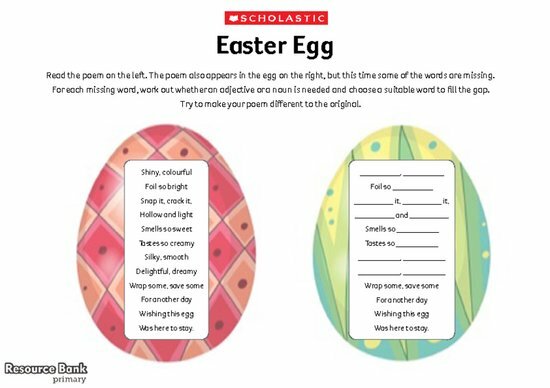 The poem also appears in the egg on the right, but this time some of the words are missing. For each missing word, children need to work out whether an adjective or a noun is needed and choose a suitable word to fill the gap. Encourage the children to try to make their poems different to the original.